Ben Vandixhorn hits a backhand. The sophomore will look to help his team to victory against the nation’s best teams this weekend. Just a week removed from a record-setting win, Northwestern is entering uncharted territory. The No. 7 Wildcats (10-0) will compete in their first-ever National Team Indoor Championships this weekend as part of a 16-team field for the 2017 version of the competition. NU, the event’s No. 6 seed, will face off against No. 11 seed Oklahoma State in its first match of the single-elimination tournament, which will be held in Charlottesville, Virginia. The Cats qualified for the event after sweeping wins over Memphis and Georgia Tech in their ITA Regional Final in late January. Now, NU enters the weekend prepping for a slate of opponents that includes every top-10 team in the nation. The Cats are familiar with strong competition, however. Sophomore Ben Vandixhorn said the team has demonstrated through its worthwhile non-conference schedule that it deserved a spot in the renowned event. NU has taken down talented and accomplished teams on numerous occasions en route to its record-setting 10-0 start this season. A Jan. 20 victory over then-No. 7 TCU gave the Cats confidence early on, and they rode that momentum through the opening weeks of the season, notching wins over Louisville, Harvard and Duke — programs that are consistently competitive. But as the Cats look to extend their historic winning streak and earn a championship in the process, the top teams in the country stand in their way. Sophomore Jason Seidman said though the task might seem daunting, NU can only focus on itself and what the team as a whole can do. Despite the tournament being single-elimination style, each participating team is guaranteed three matches throughout the weekend. So, even if things don’t go the Cats’ way against the Cowboys on Friday, the team will have more opportunities to gauge itself against the other top programs and prove its worth to the national audience. Depending on how the weekend progresses, NU could match up with No. 3 Ohio State, which won the Big Ten last year. 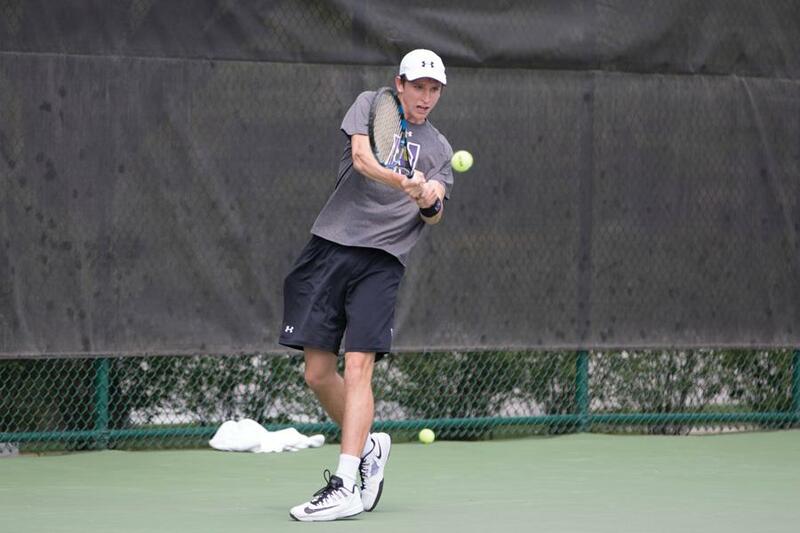 The two schools are the only representatives of the conference, which currently has four teams in the ITA top 25. With top-tier competition in immediate view and a grueling conference slate on the horizon, the Cats are adamant that their preparation in the non-conference already has and will continue to pay dividends as the season wears on. The Indoor Championships provide a prime opportunity for NU to legitimize its early success.